Amphibians. Sensitive to their environment, needing suitable open water and land around it, amphibian populations have declined and are lost to some places. Five of Britain's seven native amphibian species are found in Barnsley: Great Crested Newt and Common Toad, both national priority species because of the severity of their decline, and Common Frog, Smooth Newt and Palmate Newt. Amphibians lay their eggs in water and their larvae (tadpoles) develop there. Outside the breeding season adults and juveniles spend much of their time on land, foraging, sheltering, and hibernating. Common Frog (Rana temporaria) is the most widespread and common amphibian and tends to be associated with fish-free, shallow-edged pools for breeding. Common Toad (Bufo bufo). Because toads are more selective than frogs and possibly more 'site faithful' they are more at risk from pond loss; destruction of a toad breeding site can eliminate the species over a relatively large area. They are also more sensitive than frogs to changes in habitat. Great Crested Newt (Triturus cristatus) has had a massive massive historic decline. There are signs of recent improvements but they remain vulnerable. Good populations are found in Barnsley in at least eight different sites. Smooth Newt (Lissotriton vulgaris). Although the most widespread newt species, Smooth Newt is thought to have declined in numbers. Good populations found in suitable habitats across Barnsley. Palmate Newt (Lissotriton helveticus) as only been recorded in Barnsley in the Wharncliffe Wood area. 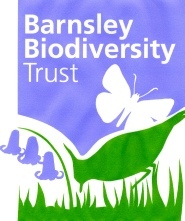 These are local priority species due to their national status and because there are sites in Barnsley with good populations and these deserve conservation management. Sites with good assemblages of amphibian species, including Common Frog and other newts, are also a local priority. In our region 67% of ponds surveyed included Common Frog, whereas this dropped to 48% Common Toad, 39% Smooth Newt, 26% Palmate Newt, and only 12% Great Crested Newt. Great Crested Newt is protected under part of Section 9(1) of the Wildlife and Countryside Act 1981 (as amended) against intentional killing, injuring and taking from the wild. This legal protection does not apply for the other species of amphibian. Amphibians are however protected under Section 9(5) of the Wildlife and Countryside Act 1981 (as amended) against selling, offering or exposing for sale, or having in possession or transporting for purpose of sale. There are also general controls relating to animal welfare. As Section 41 species Great Crested Newt and Common Toad need to be taken into consideration by any public body in managing their estate. Pond loss for development or by neglect takes away amphibians’ breeding sites. The suitability of ponds can be damaged by the introduction of fish, use for wildfowl, pollution and spreading of disease. Habitats suitable for foraging and over-wintering are also lost through development or by excessive tidying of the environment. Habitat fragmentation and isolation of populations. Road mortality is a threat to toads which often migrate long distances in large numbers to breeding sites in the spring. As well as open water for breeding and their early development as tadpoles, amphibians need adequate areas of foraging habitats with sufficiently large populations of invertebrate prey species, damp areas for resting as well as shelter and suitable places for hibernation. Maintain or create ponds with some sun, suitable depth and aquatic vegetation. Avoid introduction of fish to ponds used by amphibians or use of such ponds to support large numbers of wildfowl. Maintain or create habitat features for foraging or sheltering for example varied vegetation structure, damp areas, etc. Ensure there are places for hibernation. In gardens a pond, a bog garden, compost heaps, log piles, rockeries, and some areas with longer grass can benefit amphibians. Enable sites supporting amphibians to be linked by wildlife corridors. Raise awareness of the need to conserve populations and assemblages of amphibians. Determine the distribution of amphibians across Barnsley. Maintain the range, distribution and abundance of existing amphibian populations and if possible create areas for their potential expansion. Amphibians benefit from wetland creation schemes and from the creation and restoration of farm ponds under stewardship and other schemes. Your email address will not be public.